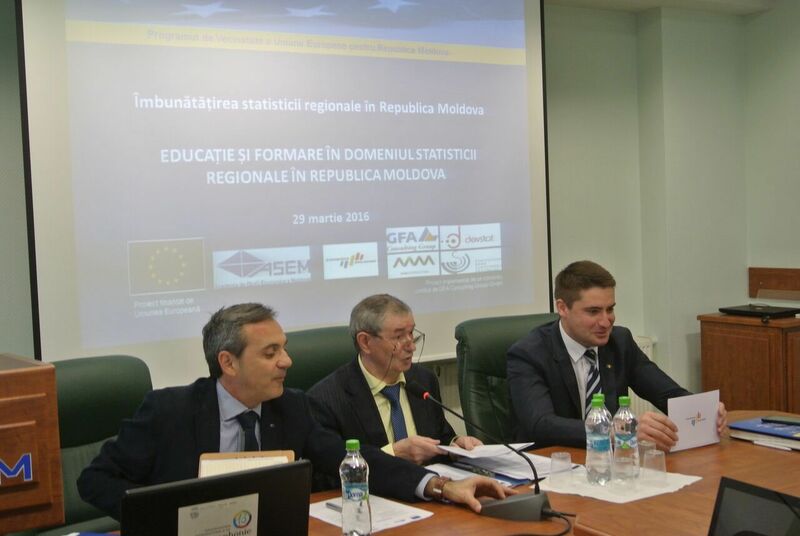 Home / News / Workshop "Education and Training in Regional Statistics in Republic of Moldova"
Workshop "Education and Training in Regional Statistics in Republic of Moldova"
The EU project "Improved Regional Statistics” in Republic of Moldova, in collaboration with the Academy of Economic Studies of Moldova and National Bureau of Statistics, organized on March 29, 2016 the Workshop "Education and Training in Regional Statistics in Republic of Moldova". 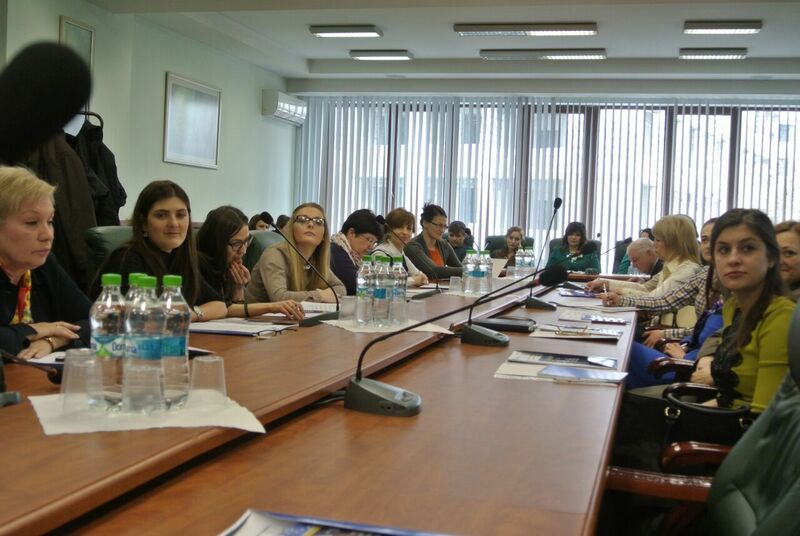 The event was held at the Academy of Economic Studies of Moldova with the participation of academics, public authorities and institutions and the National Bureau of Statistics (NBS). There were discussed the ways of improving the supply of education and training in the field of regional statistics reporting the Moldovan experience to European practices, answering this way to the needs of skills development in this area. The participants presented the findings and recommendations of the study dedicated to the supply and demand of education and training in the field of regional statistics accomplished during January-February 2016. 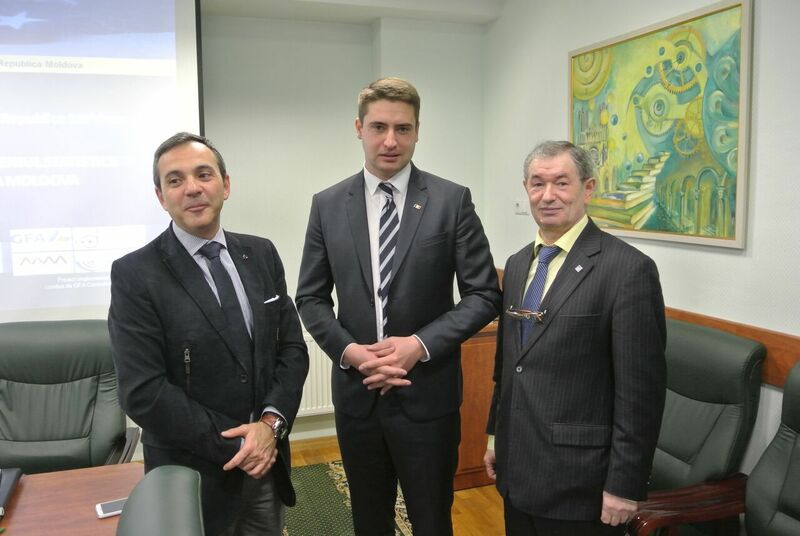 There were included several universities from Republic of Moldova. At the event it has emphasized the need to promote statistics more active as a field of training and professional activity (conferences, exhibitions, information campaigns etc. ); continuing the dialogue between the Academy and NBS on improving training in regional statistics, including the development of a permanent platform for communication, participation and training; Expanding the offer of bachelor, master and postgraduate studies on regional statistics (eg Regional Statistics, Spatial Econometrics etc.) as wel as to aware interested stakeholders regarding the need of real skills in the analysis and production of regional statistics for policy development.